Everybody’s trying to save a buck these days. But hey, sometimes you want to treat yourself to a decent meal at a restaurant. Kids Eat Free specials have been around for years, traditionally used by sit down type restaurants to bring in customers. Lately, we are seeing more deals in some untraditional areas. I have spent the last few days calling local restaurants for FREE and/or Inexpensive meal deals. This is the list I have started thus far. If you know of any local restaurants that participate in a program like this please let us know and I will update accordingly. As a side note, based on your regions FREE nights may vary, so please call ahead to confirm. This list has been cultivated for Upstate New York. Boston Market – This isn’t a daily deal, but it’s good to know. If you’re part of Boston Market’s VIP Club, you and your kids get a free dessert on your birthdays. Who wants to pay for a birthday cake, anyway? Cici’s – At participating locations, kids under the age of 3 eat free when you purchase a full-price adult entree. Some locations choose to this a specific day every week instead of every day, so call ahead! Otherwise, kids buffet is $1.49 with purchase of adult buffet. Golden Corral – Kids 3 and under eat free every day! IHOP – Everyday kids eat free at IHOP if they are 12 and under. Kids can get 1 free kids’ menu item per adult entree purchased from 4 pm to Close. The drink is not included. Recovery Sports Bar– Kids meals are $2.99 every day. Not free but cheap is great too. Includes all kids under 12 years old. 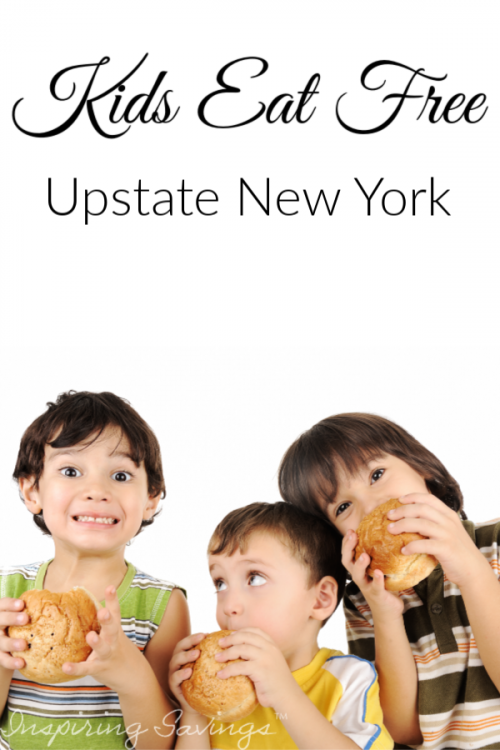 Shanes Rib Shack – During your dining experience Shanes provides all children with an activity page. On the back of this page, you will find a coupon for a FREE kid’s meal. Activity page must be completed for your free kid’s meal (it is for a return visit). Smashburger – Depending on the location, Smashburger offers a free kid’s meal with the purchase of a burger or entree. It does have to be after 4 pm, and the day of the week differs. They’ll usually run the promotion on Mondays, Tuesdays, or Wednesdays. Buffalo Wings & Rings: One free kid’s meal per adult entree purchased. Kids 12 and under. (Side Note) – Each location chooses which night it offers kids eat free deals — so make sure to check with locations in your area. TGIFriday’s – Every Monday and Tuesday kids eat free at TGIFriday’s. Please call your local store to confirm before heading out. Denny’s Restaurants – From 4pm-10pm Kids 10 And Under eat for FREE. Up To Two Free Kids’ Entrees From Kids’ Menu Per One Regularly Priced Adult Entrêe Purchase. Selection & Prices May Vary. Moe’s Southwest Grill – Kids Eat for $0.99 With The Purchase of Adult Meal from 4 pm ro 9 pm – Capital District, New York (Side Note) – Each location offers kids eat free deal on a day of its choosing. Pizza Hut – Kids eat free with the purchase of a large pan pizza. They will receive their own personal pan pizza. Days will vary by location. 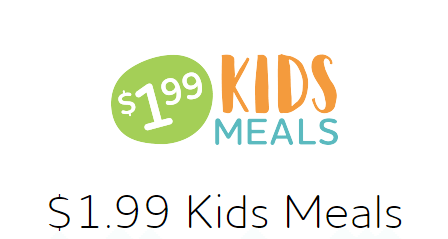 Pancho’s Mexican Restaurant – For a limit time Kids meals are .99 cents with adult meal purchase. All day. Panchos will be discontinuing this service in the near future. The date is unknown at this time, so please call ahead. Texas Roadhouse – Kids meals are just $1.99 with the purchase of adult meal. End Zone Sports Pub at Saratoga Strike – All Day Wednesday kids can eat free with the purchase one adult entree. Buffalo Wild Wings – On Wednesday, from 5pm to 8pm kids 12 and under eat for 1.99 from the kids’ menu at Buffalo Wild Wings. Denny’s Restaurants–From 4pm-10pm Kids 10 And Under eat for FREE. Up To Two Free Kids’ Entrees From Kids’ Menu Per One Regularly Priced Adult Entrêe Purchase. Selection & Prices May Vary. End Zone Sports Pub at Saratoga Strike Zone–Kids eat free with adult meal purchase. All day. Denny’s — From 4pm-10pm Kids 10 And Under eat for FREE. Up To Two Free Kids’ Entrees From Kids’ Menu Per One Regularly Priced Adult Entrêe Purchase. Selection & Prices May Vary.-Select stores. Hot Harry’s Fresh Burritos – One free kid’s meal per adult meal purchased. Thanks for posting this. We’ve done Moe’s many times on Sunday but should try out some others. Your Welcome Amy!!!! Let me know if you come across any other Free Meals for Kids. I will add them to the list. And we’ve seen Amy there on an occasion! lol. I think the moe’s in guilderland has free kids meals on wed but not sure. It’s not sunday there tho! Kids eat free on sundays at Dickey’s BBQ in Clifton Park. Buffalo wings and rings? There are no locations in the area. I see that these comments are pretty old so I’m not sure how up to date this list is. Hi DJ, You are correct. This list has not been maintained well. I am sorry for the outdated information. I honestly thought I pulled this page down. I am not able to keep it up to date.